W. Scott Koenig is available for writing assignments on Mexican destinations, culture, food and events, as well as other travel destinations and food topics. To contact Scott, email scott@agringoinmexico.com, or fill out our Contact Form. 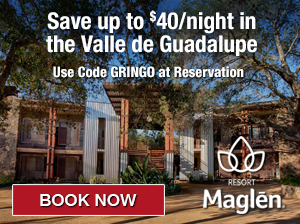 El Gringo loves to go mobile, and is available for press tours, FAM trips, press conferences and other opportunities to provide coverage for destinations, culture, food and events in Mexico and beyond. Scott is a double-threat, both reporting on and providing photography for the majority of his coverage. To contact Scott, email scott@agringoinmexico.com, or fill out our Contact Form. You can follow El Gringo to check out the latest on Mexican destinations, culture, food and events on a fairly regular basis at the following media outlets. Scott has also been published in Destino Magazine (Los Cabos), The Oaxaca Times and the Baja Times (Baja’s largest English language newspaper). AGringoInMexico.com is W. Scott Koenig’s blog, featuring articles on Mexican destinations, culture, food and events. Scott posts here 2-3 times monthly. Chowzter is a global network of the world’s most celebrated food experts and writers, all searching for the tastiest Fast Feasts on the planet. Scott is Chief Chowzter of and posts his food picks for Tijuana and Oaxaca. He has also authored features on food in Oaxaca and Tijuana for the site. 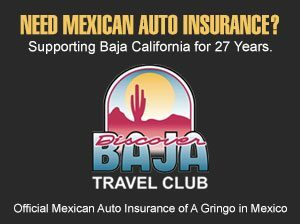 Baja.com was born out of a love for Baja California and a passion for travel. The site’s goal is to make Baja more accessible and user friendly. Scott posts here 1-2 times monthly. The Yucatan Times provides news you can rely on for the Yucatan Peninsula. Scott has recently started reporting for the publication and will ultimately post 1-2 times quarterly. Parts Unknown Mexico: Fear and Loathing or a Simple Misunderstanding? Should Anthony Bourdain be held culturally accountable?